For ages 6 through 12 years. Timmy Stoddard, age 10, is the son of a single parent. He lost his father from a disease he contracted, from being exposed to the defoliant, Agent Orange, during the Korean war. 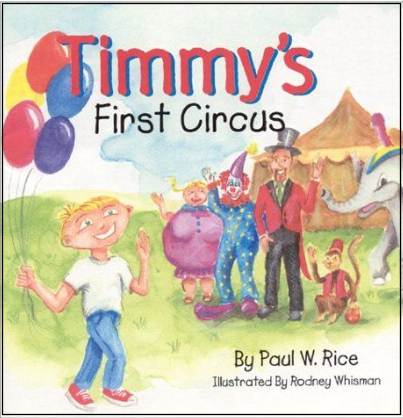 His mother is hoping that something would come his way that would help Timmy become more responsible and to settle him down a little. His exposure to and his job with a passing circus did just that. This is a heart warming story that is enhanced greatly by the beautifully illustrated 23 pages. This paints a vivid picture of the story in the child's mind as they excitedly read from page to page. It is beautifully illustrated.